What bothers me about it is that it's hand-written -- in 1992? 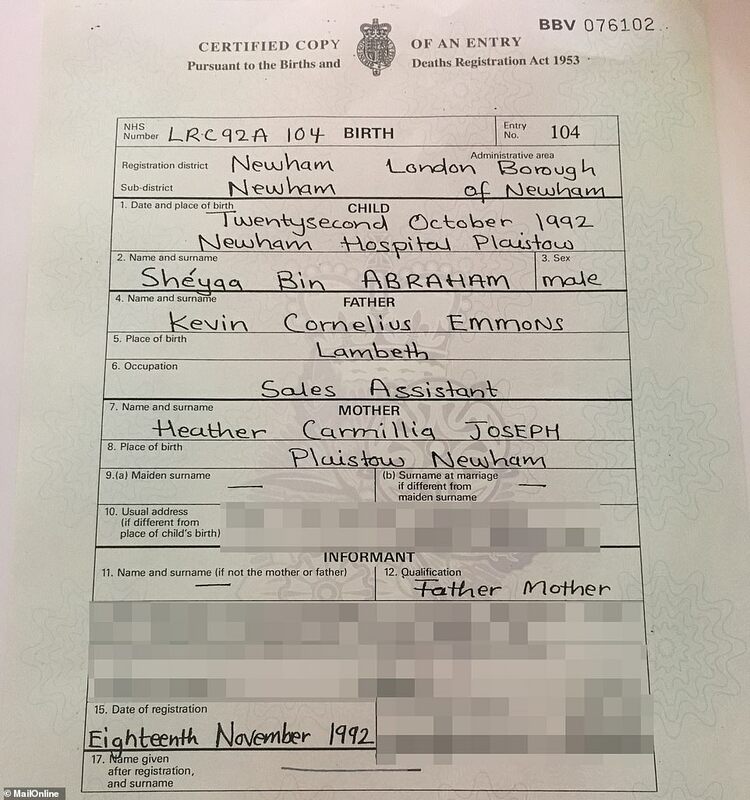 MY original birth certificate is TYPED, and I'm not much older than Tico! Last edited by rocknation; 02-06-2019 at 05:08 AM.. Unfortunately, in 2006 Mr. Abraham-Joseph lost his legal status through no fault of his own. It was certainly his fault if that's when he bought the gun to school. H4-visas are for the spouses and children of foreigners in the U.S. on work visas. Presumably, he was able to get the 2005 H-4 because at least one parent was able to prove they were still working the in the U.S. However, if he was only 14 years old as of 2006, it was up to his parents to ensure that his business was taken care of! Then why did he slip through the family net -- because of his gun conviction as a juvenile and the drug conviction at the age of 22? That is incorrect information: ICE is NOT under any legal obligation to recognize expunged charges if they believe they're serious enough. Mr. Abraham-Joseph has a pending U visa application...filed as a result of being the victim of a deadly shooting in 2013. That visa was filed in 2017 and remains pending. When granted, the U visa will afford him lawful status in the United States. So not even 22 grams of weed, 89 hydrocodone pills and four years could cure him of being so traumatized he can't change his nationalities? Last edited by rocknation; 02-06-2019 at 05:15 PM..